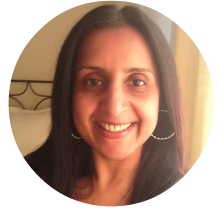 Coach Rita is a certified Law of Attraction Coach and Chakra Energy Healer, as well as a Law of Attraction Radio Show Presenter on LOA Radio Network, hosting the show ‘Your Missing Link to the Law of Attraction’. Coach Rita has a huge passion for sharing her LOA knowledge and skill to inspire others to believe in themselves and their dreams and to gain value in their lives. She has studied positive psychology and strategic intervention as well as NLP and is a certified Myers Briggs Practitioner. Coach Rita has recently been awarded the Best LOA Coach 2015 and uses LOA combined with her life coaching skills to offer coaching in career, relationships with others and with self. Find out more about Rita at Coach Rita.